How is it May already?! It feels like just weeks ago we were all seeing in the new year and wondering what was to come over the next twelve months, and now, here we are, already in the fifth month. I got the month off to a good start this week though, and by the looks of the things I have planned over the next few weeks it's going to carry on that way! 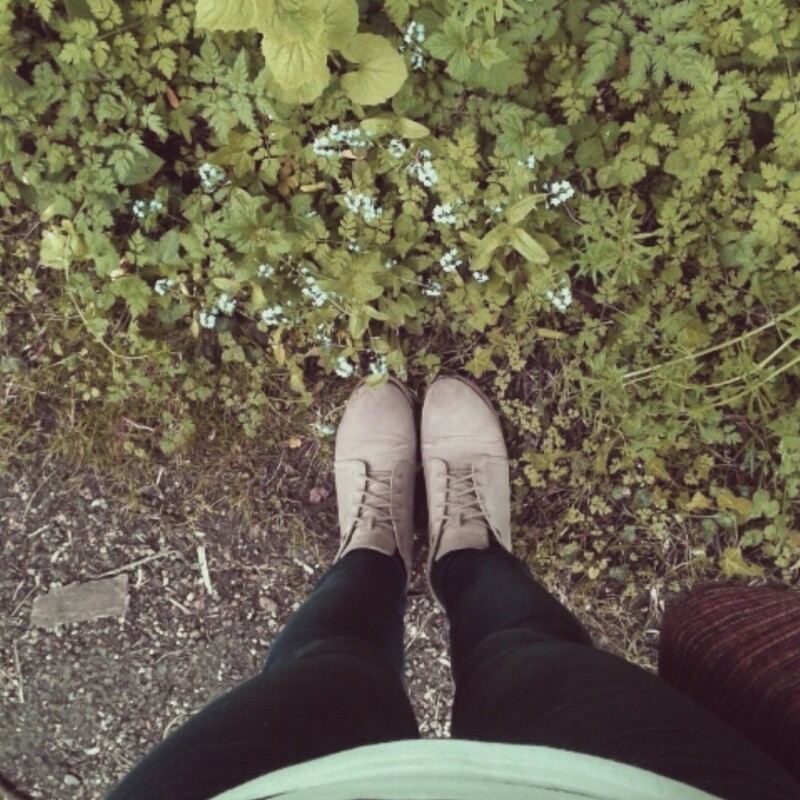 On Tuesday I finished college a little bit earlier than usual so I decided to take my favourite route to the bus stop and take some pictures along the way. Spring has officially arrived, said its hellos and unpacked its things, and that means all of the flowers are in bloom; bluebells, daisies, dandelions, buttercups, the lot. At the moment the pathway to I walk down to get to and from the bus is brimming with lots of beautiful little flowers, and these ones in particular caught my eye. I'm not sure exactly what they are, but they're so delicate and pretty. Unlike in the mornings, there was no one else walking down the path so I could just take my time, stop to take a few pictures and really enjoy the walk. On Wednesday morning the boy and I headed into the city during our photography lesson so that he could take pictures for his project and I could collect some flowers to press for mine, and whilst we were wondering around we came across this simple piece of graffiti. I'm definitely on the side of those who say that graffiti can sometimes be artistic and a positive thing for a place (Bristol, for example, has some amazing graffiti), and although this isn't the most eye-catching of pieces, I thought the message was really lovely (no pun intended), and it reminded me of the time I saw the words 'somebody loves you' scribbled on the walls of a train station toilet a few weeks back. 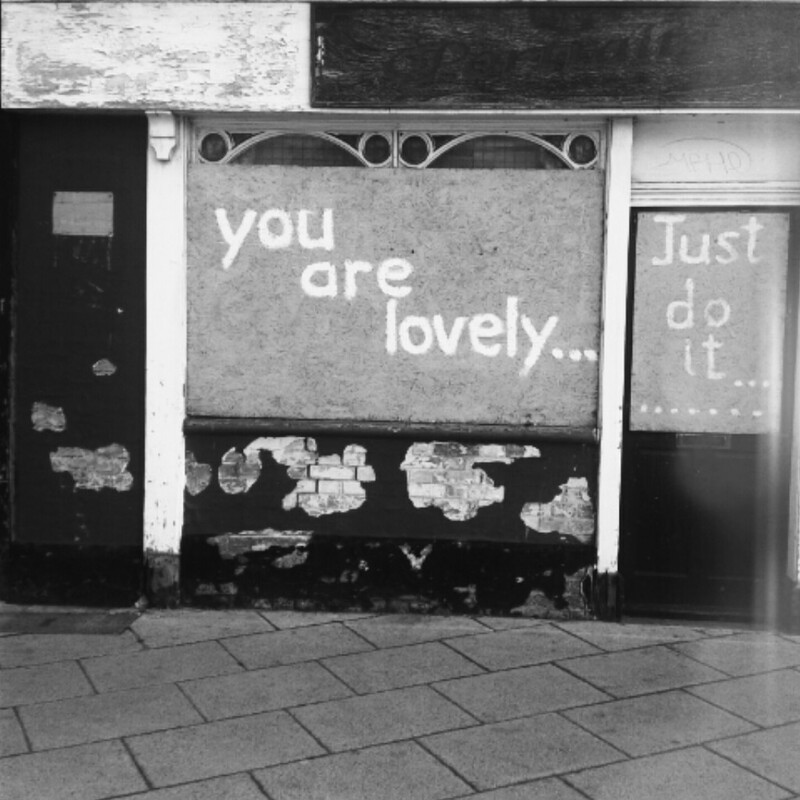 Sometimes a simple little reminder can make a big difference to your mood and I'm all for that, even if it's is spray-painted on the front of an abandoned shop. Speaking of photography projects, on Wednesday I also posted this picture from my photography journal. 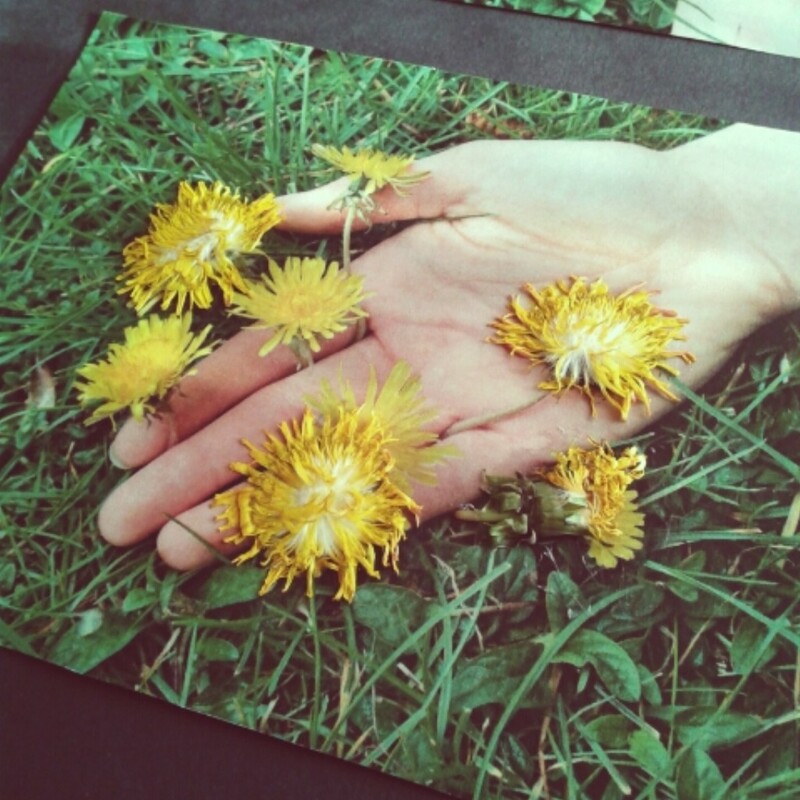 Our topic is 'growth and evolution', so I'm basing my work around the idea of flowers growing out of the human body, and here I stuck some pressed dandelions to a photograph to add some texture and make it more than just a standard photograph. Thankfully collecting the flowers, pressing them and then sticking them to my photos is actually quite therapeutic, which is particularly lovely because our photography exam is next week, so relaxation is more than welcome right now. On Thursday the boy and I finished college at one o'clock, so we decided to treat ourselves and go out for lunch and tea. We stopped off at the West Cornwall Pasty Co and Pret A Manger to grab some food which we ate in a quiet part of the city where there just happened to be a busker playing some beautiful guitar music. After we'd eaten, the wind picked up and we got a bit chilly, so we popped over to one of our favourite haunts, The Bicycle Shop (which I mentioned a while ago in this post). Someone had left their newspaper on the table we sat at, so we had a go at the crossword and sudoku on the back page (old couple alert). 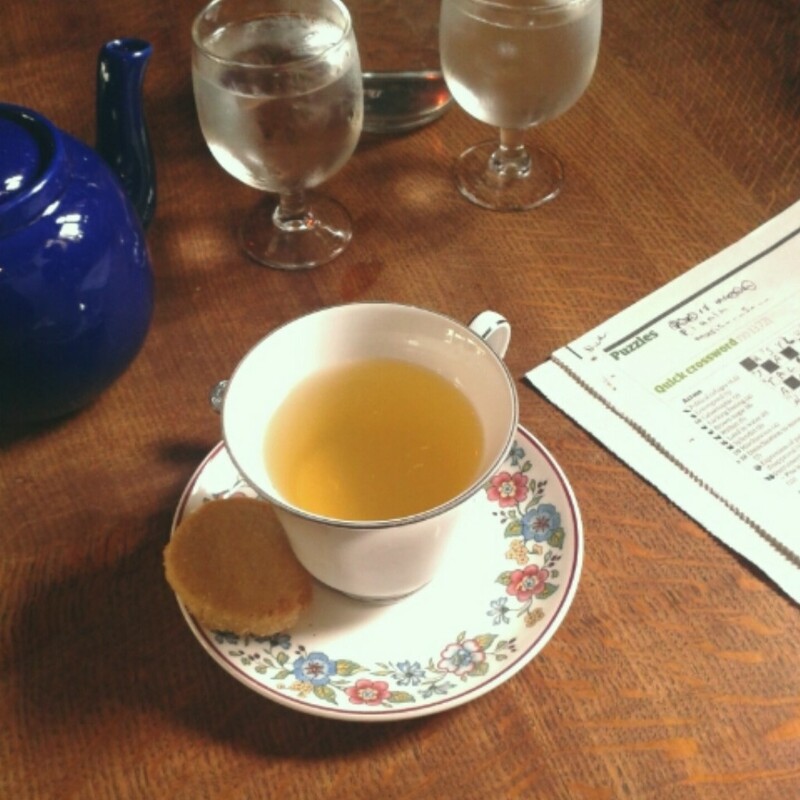 I ordered a pot of green tea, and, being the lovely little place that it is, we were also given free water and homemade biscuits. On Saturday my mum and I headed out to grab lunch and do a bit of pre-birthday shopping (my birthday is next week!). Before we tackled the shops we stopped at Moorish Falafel Bar for a bite to eat. Moorish has become one of my favourite places to eat lately - the staff are super friendly, the food is freshly made and really delicious, and it's great value for money (we each got one of their salads which consisted of lettuce, their 'house salad', houmous, a salad topping of your choice (I always go for the aubergine), three falafels and either tahini, hot sauce or yogurt & mint dressing - or all three, if you'd prefer - and a glass of freshly made lemonade with mint, which cost only £6.60 each). 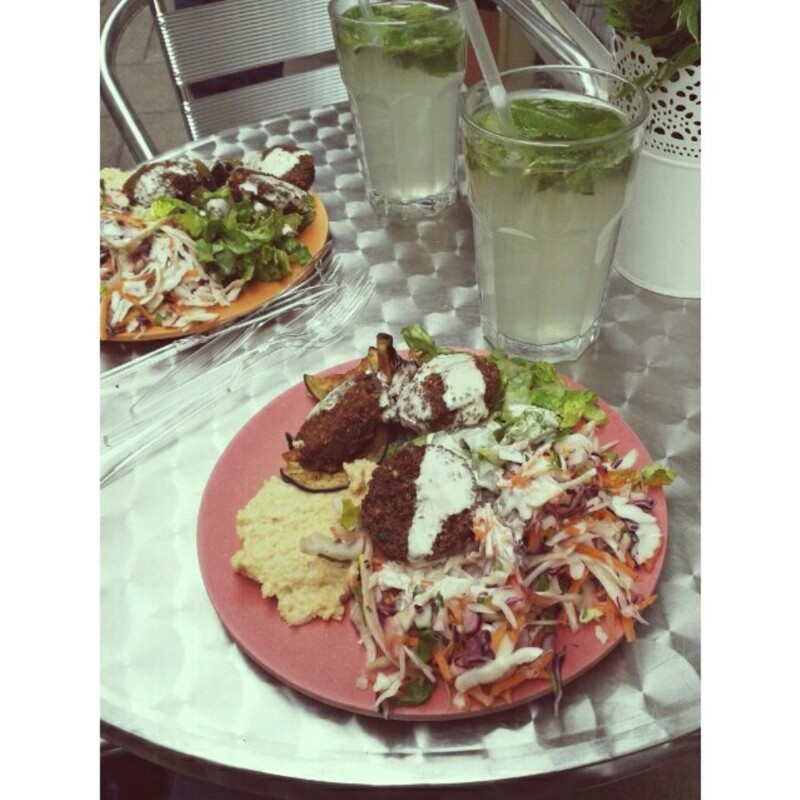 They also offer pittas (with a choice of brown or white pitta), soup and vegan baklava, as well as coffee and a variety of teas. There's always some good music playing and the place always seems to be thriving so there's a really lovely atmosphere - Moorish is the sort of place you could quite happily spend a few hours just sitting, eating, talking and people-watching for a good couple of hours. It's another bank holiday weekend here in the UK so I've taken full advantage of it by doing as much photography prep as I can so that the exam goes nice and smoothly on Thursday and Friday. I hope you've all had a lovely week and enjoy the extra day off tomorrow!